It is difficult to not mention Diablo when referencing the Action RPG genre, Blizzard games, co-op gameplay, or even Battle.net. Fans always have Diablo on the tips of their tongues as it is often revered as a game franchise of superior quality. This is actually quite an amazing feat considering that only two games exist in this highly entertaining franchise. Outside of a couple of expansions and a single release on the original PSOne, Diablo has gone a long way with so little, like a trickle of water that has created a lake. This is why anything Diablo related is most likely news worthy. 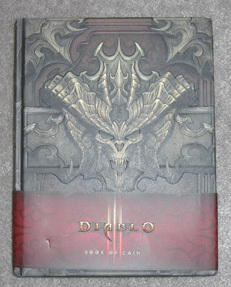 Blizzard and Insight Editions have teamed up to create Diablo III: Book of Cain, a book that will undoubtedly geek out fans to the max. The Book of Cain is not just a book; it is basically a physical tome of what you might actually find while crawling though Hell’s dungeons. Just holding this real-world Diablo artifact in your hands is a unique experience. 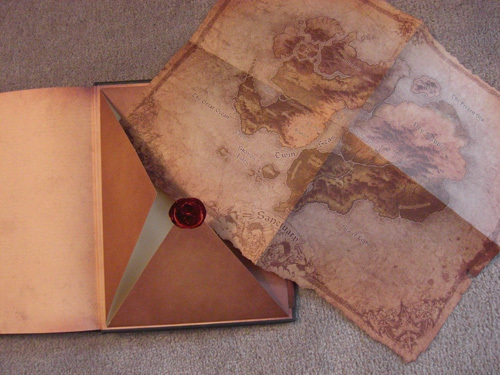 From the cover, to the first person narration, to the actual texture, cut and smell of the pages themselves, this book literally feels like you grabbed it out of the Diablo universe. Even the book’s font and illustrations blend together to make the book a piece of interactive entertainment even if you don’t read a single written word. The presentation is beyond impressive and is undoubtedly a highlighting feature of this black jacket hardcover. Without giving away spoilers, the book is written from the view point of Deckard Cain, a scholar that resides in the Diablo universe of Sanctuary. 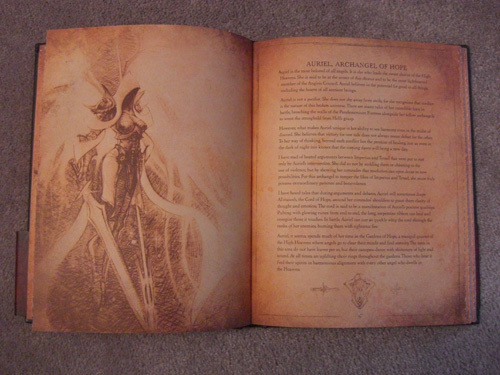 Detailing of the war between the High Heavens and the Burning Hells, this book talks about past events and foreshadows events of the upcoming Diablo III, due out on PC in 2012. Leaving his journal to his daughter Leah, Cain documents his knowledge of this dark world, demons, the fall of Tristram and even details about the three prime evils, Diablo, Mephisto, and Baal from a first person perspective. 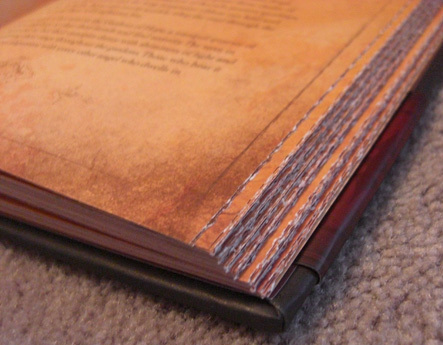 Again, binding the overall presentation of the book, Cain even hid a folded map in the back cover of the book that readers are sure to get excited about. Originally released on December 13, 2011 in the US and Canada, Diablo III: Book of Cain is set to launch on February 7, 2012 internationally. 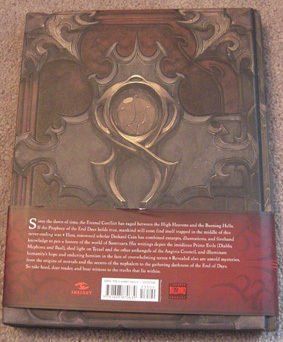 Spanning about 150 pages and featuring dozens of illustrations of multiple artists, the $35 price tag for this hardcover real-world Diablo tome will unquestionably make fans squeal like little school girls in geeky excitement.